Ray’s & Stark Bar at LACMA was one of the first places to come to mind not only for their well-known, yet modest presence in the city of Los Angeles, but for some nostalgic holiday decadence. 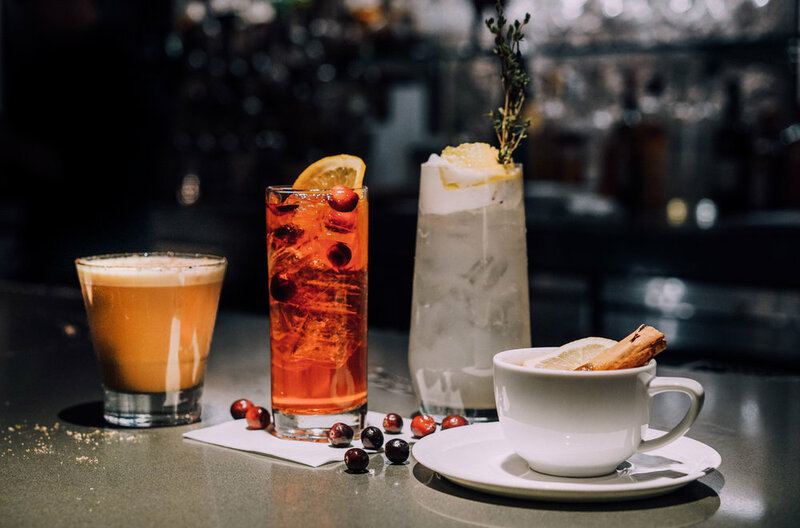 Recognized as being a part of one of the best museum restaurants in the country, their bar is too, renowned, and stocked with an excellent list of spirits. We were lucky enough to try a cheerful rainbow of merry libations and we just must share them with you! Now, let’s get started, shall we? Frothy and laden with citrusy delight, first we have the Absolut Frost. 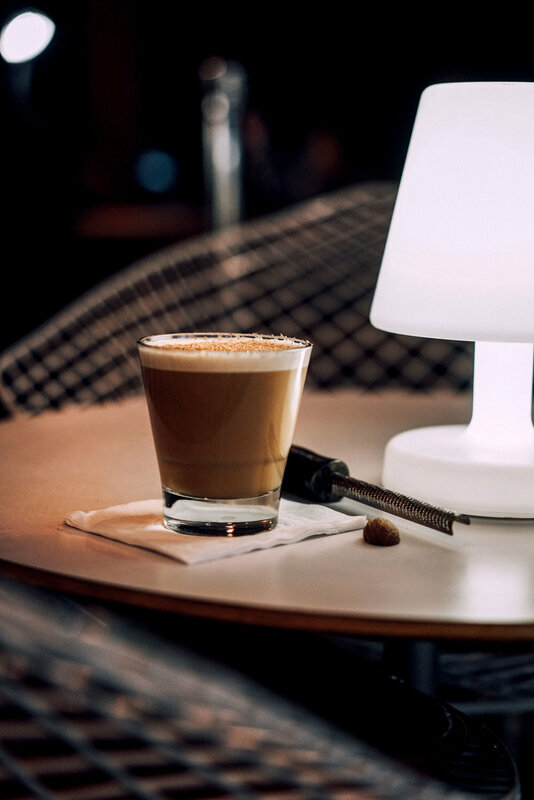 Simple and refined, the Absolut Frost is made with Absolut Elyx, the uplifting, yet bitter essence of Lillet Blanc, and egg white. A snow angel in cocktail form, anyone? Second up, red as Rudolph’s nose, we have the Cranberry Aperol Spritz. 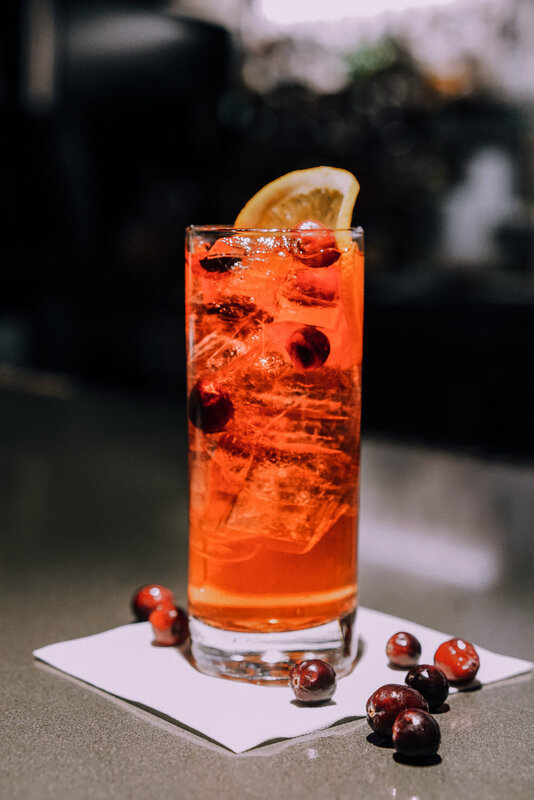 Well-paired with a rich meal, and particularly refreshing on it’s own, this beauty is comprised of, of course, Aperol, cranberries, cranberry syrup, and sparkling wine. Next in line, the Christmas beverage of all Christmas beverages bumped up a notch, Ray’s and Stark’s House Made Eggnog. We really love cocktails that set the nostalgic juxtaposition of childhood vs. adulthood, and this creamy treat does just that. The House Made Eggnog is mixed with bourbon, cognac, Luxardo cherry liqueur and is topped with fresh grated nutmeg. Beware the eggnog mustache! Last but not least, we have Tea Party--the warm, enveloping elixir of our dreams. 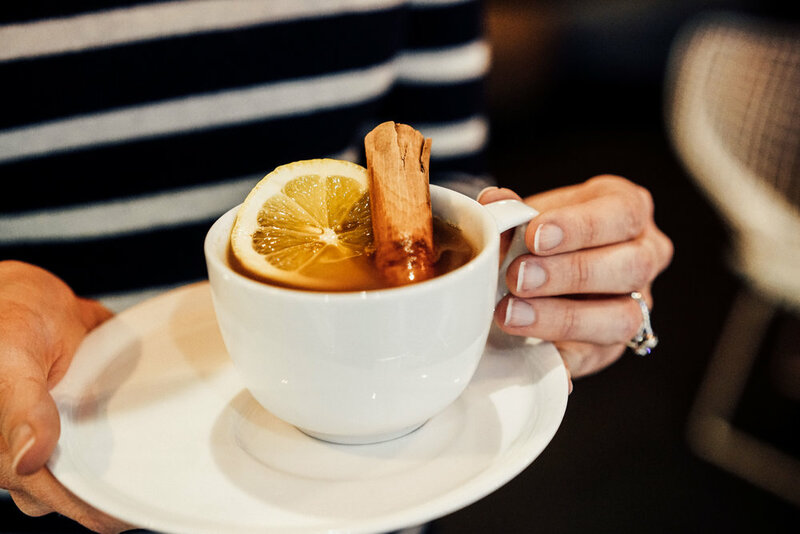 Served hot and appropriately housed in a tea cup, we could have certainly used one or two of these as a pick-me-up during flu season this year. Tea Party consists of a blend of gin, scotch, applejack brandy, sweet vermouth and chamomile spiced syrup. Head on over to LACMA for a walk around the museum and a cocktail this weekend before these Christmas miracles have come and gone!